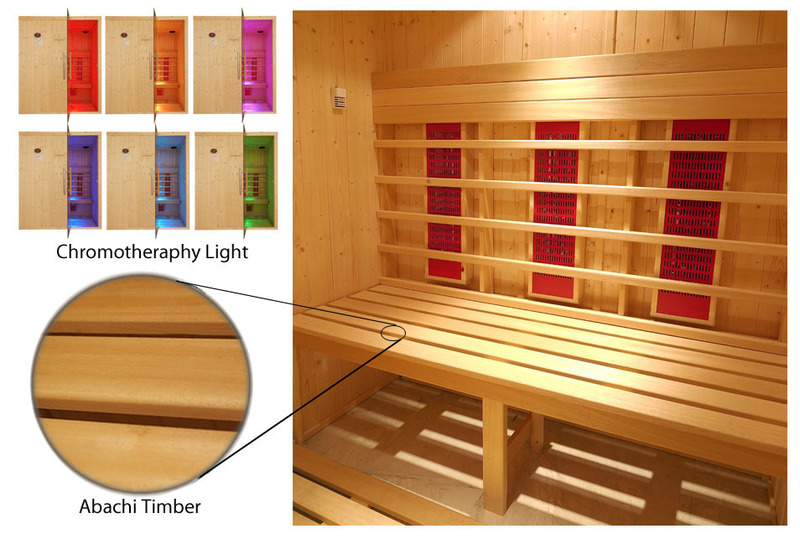 The Oceanic IR2020 1350 x 1250 x H1950mm (1500Watts) infrared sauna is supplied complete with 5 x 300 watt Oceanic infrared heaters with digital controls having a countdown timer for settings up to 60 minutes, a thermostatic temperature control to set upto 60°C and a high temperature safety cut off at 80°C to prevent overheating. Stereo Speakers with bluetooth or audio connection lead to connect to compatible MP3 or smart phone devices, our brand new modern full height safety glass sauna door with clear glass, polished chrome & Ash wood handle and polished chrome hinges. 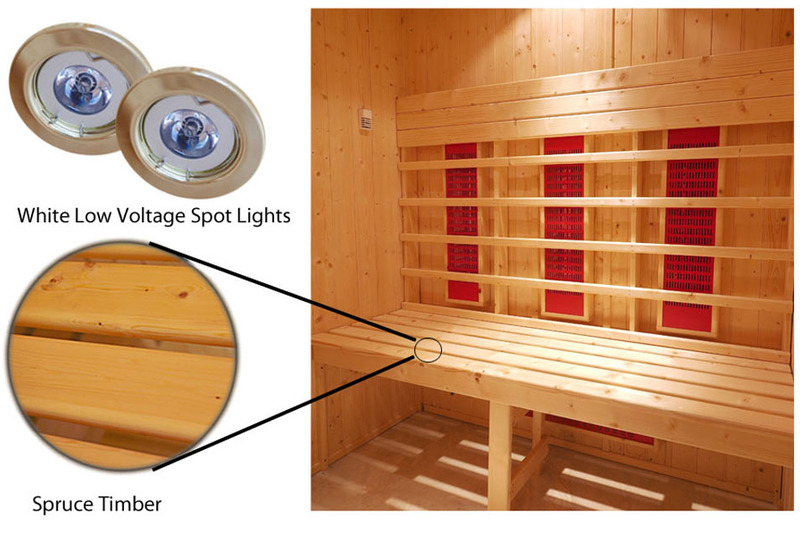 Slatted wooden benches, backrest and, floor mat (deluxe models only), lighting, all fittings and fixing, assembly manuals and user instructions.